This coming Saturday, July 28th The Bustle will be holding it's second Sample Sale of the year! We've been working hard to get this event ready for some amazing deals! We will be taking brides in until 5pm. WHAT IS A BUSTLE? AND DO I NEED ONE? The answer is yes! 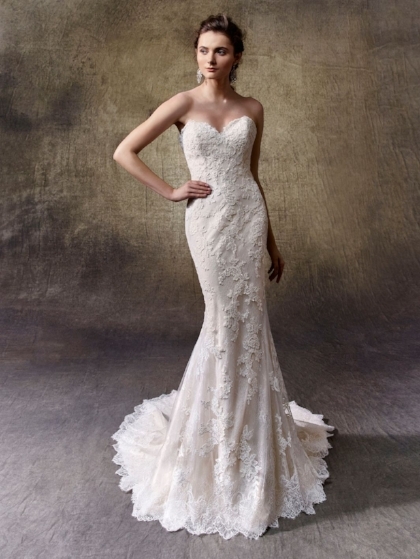 As long as your wedding gown has a train, big or small, you'll 100% want a bustle! A bustle is created by your tailor. Essentially the tailor adds clear buttons and loops into the back and train of your gown. These buttons and loops camouflage into your gown, allowing the bride to hook up the train giving you more mobility. WHEN DO I BUSTLE MY DRESS? You'll want your train down for the ceremony and pictures, therefore you have the bustle put up for your reception! 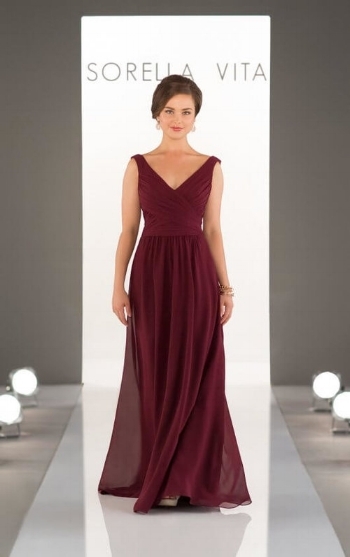 Your gown will be bustled from your first dance all the way to the end of the night. Having a bustle will allow you to really enjoy your celebration and not drag your train around. WHAT WILL THE BUSTLE LOOK LIKE? The interesting part of about bustles is the tailor designs them, not the gown designer. Your tailor creates them based off of the style and weight of our gown. Each button-to-loop is considered a bustle. Often brides have 3-5 point bustles! There are two types of bustles, the French and the English. French bustle for a fitted gown. French bustle for a ballgown. English bustle for a fitted gown. English bustle for a ballgown. Now keep in mind that bustles are made by tailors, meaning that every bustles looks a little different! It comes down to the brides design preference! All bustles do the same job, so the look and placement of the bustle can be adjusted to the brides preference in her tailoring process! If there is a specific bustle design you've seen and really love be sure to save the picture and show your tailor! 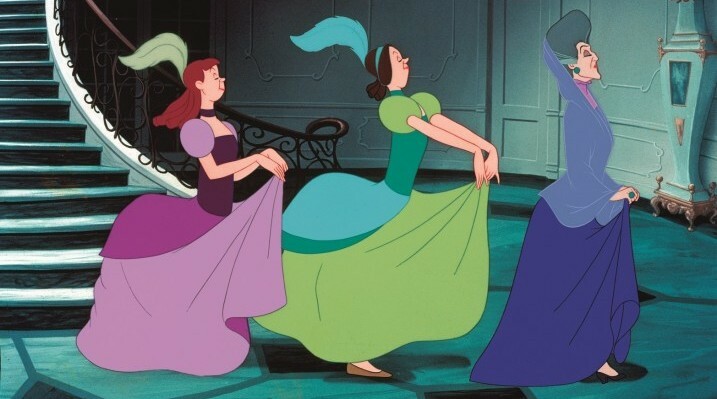 :) Now you finally know what those step-sisters from Cinderella are wearing on top of their rumps, believe it or not this look used to be all the rage! VEIL? HAIR COMB? HALO? UP? DOWN? 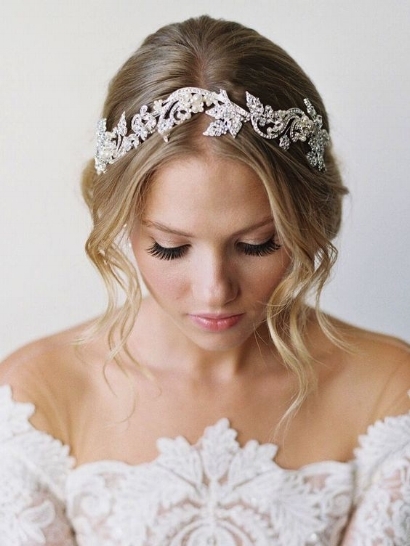 These lovely hair accessories are the most common bridal hair accessory, other than the veil! Hair combs are the perfect touch of bling and a great way to spice up your beautiful bridal hairdo. Most hair pieces are created to allow your hairstylist to manipulate the comb to your hair style. Whether that means wrapping it around your bun, or weaving it into your braid, you can have a lot of fun working these accessories into your bridal look to fit your personality! For the bride who wants a little more drama, headbands and halos are the perfect! You can go blingy, or go fora softer and romantic look with a floral embellishments. BUT WHAT ABOUT MY VEIL? Don't worry, you can have them both! Here are examples of how hair pieces are still worn with the veil. You'll want both for your ceremony and photos, and can always remove your veil later at your reception and still have your sparkly hair piece in for the dance floor!